Enchanted after seeing ladies dressed as dazzling mermaids, Julian uses his imagination and creativity to transform into one himself. With a little help from his Nana he gets to parade with his idols, displaying his colourful, mermaid self for all to see. 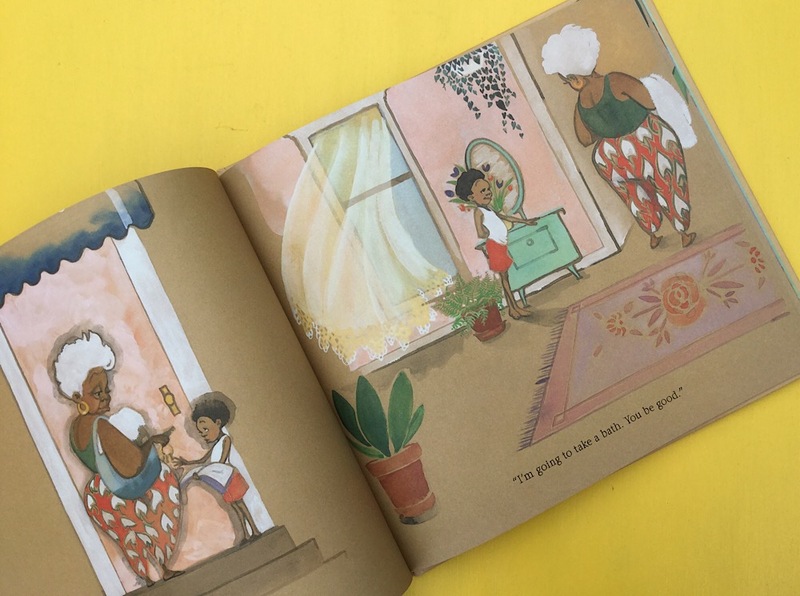 Words are limited in the book with the illustrations being enough to beautifully depict the tender relationship between Julian and his Nana in which he is treated with acceptance and tolerance and encouraged to be himself. This is a marvellous celebration of individuality and uniqueness.